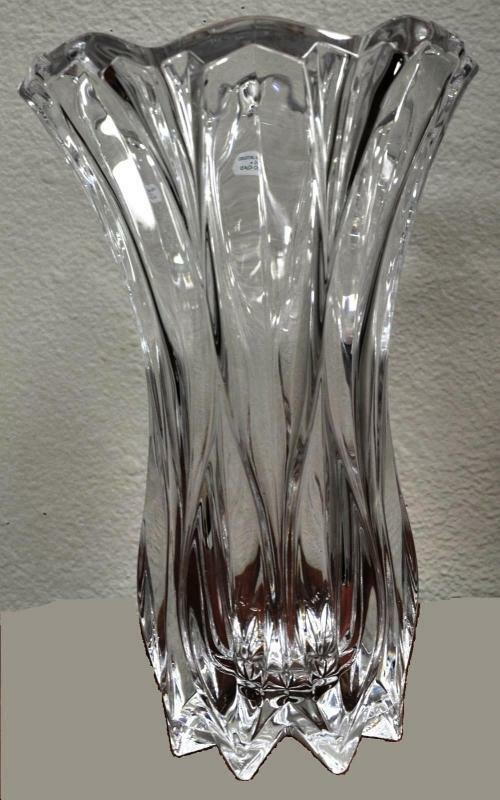 Beautiful French heavy leaded crystal glass, Cristal JG Durand Crystal Callipoe Vase 10.5", The condition is excellent however preowned. Graceful draping panels with long ovate sections toward the bottom half. 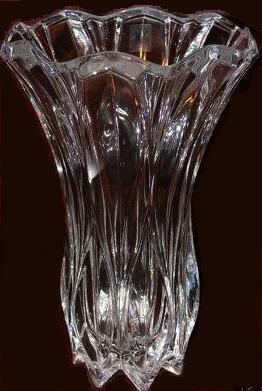 The vase is supported on inverted crown like scalloped feet. The top is wavy . 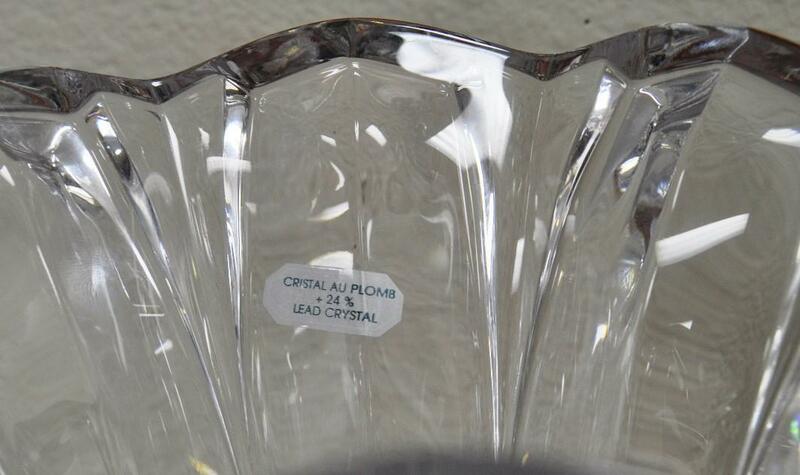 The crystal glass is very thick. The vase is very heavy. 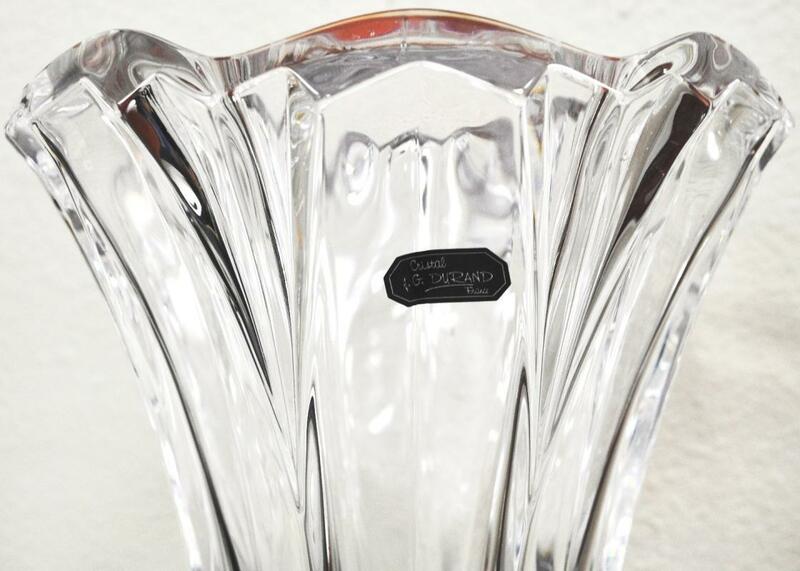 Items Similar To "Cristal JG Durand Crystal Callipoe Vase 10.5" France"